I had an insight about how I learn that may help some of you out there as well. The Background: I started on a new relationship with a trainer that involves using a written plan for my lessons instead of just showing up and “seeing what’s happening.” I was thrilled to find a trainer willing to include a written plan in conjunction with the traditional rides. So, we booked a double lesson for the first time so we could have time to talk and share expectations for how this interactive process might work. This first lesson was amazing and I was able to take my lesson home and incorporate the feel into my rides at all the gaits and transfer to Ava as well. The next two lessons were regular 45 min lessons and I realized that the experience was sliding back into the receive/listen only mode for me and I was stressed about the limited time to soak up the information so I was going home not really sure what we were doing. The Information I Need: I realized that I need a few key pieces of information to really progress in my work. What is the trainer seeing? What is the trainer going to fix? Why did you (the trainer) choose the exercise you did? What is success for today? Let’s discuss half-pass for example. We have all watched a beautiful Grand Prix half-pass on YouTube so we know what it should look like in the ideal. First I need to know what Donzer and I are doing because I’m doing my best to make the ideal thing happen. Are our shoulders in or out? Are the haunches leading? Is there enough bend in the ribs? Do I just have a neck bend? Am I sitting too much to the outside? There are so many possibilities that I need my trainer to help clarify what our issues are to correct. A typical approach to half-pass is to start on the diagonal and then bring the haunches. In my 45 min lesson we did several of these and because I was really not clear on the issue my trainer was seeing I rode each half-pass slightly different and tried to suss out what the trainer thought was better. On the way home I was just highly frustrated because I had no clarity on my homework and no way to access what better would be. The Take away: I discussed with my husband, Kris, what was the difference between my first lesson that I was very happy with compared with the lesson I was very unsatisfied with and we agreed I need more discussion time. I am not a purely kinaesthetic learner so I need to understand the what, why and how to accomplish the movements. I realized that a lesson that was at least 60% discussion with 40% riding the pattern was probably ideal for me. I really do well learning in a clinic when I can watch the trainer give multiple lessons so by the time it’s my turn to ride, I am very familiar with the trainer’s style and the theme that’s emerged for the clinic. In fact, if I had to choose between just riding or just watching, watching would be better for me. The Solution: The beauty of my current relationship is that we began with open communication. After sharing my thoughts, we have agreed to go back to 2 lesson blocks so we both have time to discuss and then practice the topic. And, I will provide a short read-ahead for my trainer so he knows what I’ve been working on and how it’s been going from my perspective. This allows time for my trainer to think about some exercises that will be most effective. So, of course, we still look at the horse/rider that shows up to the lesson but we have a framework. And, if we are not able to pursue the planned lesson, then it is also productive to understand why and what was missing. Looking forward to my next lesson. Dressage Horse Training: What is this second trot? Donzer and I are working to develop this so-called second trot. This was new terminology for me but it is what we need to do. This trot continues to be a big challenge for us. I have gotten Donzer to agree to some contact but he continues to move his head around a lot. Since training level, he’s ducked behind contact. Using the rein-back and forward into the contact has helped steady our connection a bit. For the last few months I’ve been using my spur to ask Donzer to lift his shoulders and to engage his belly to lift his back. We are still in negotiation on this point. One challenge with Donzer is how short he is in his body so he’s either correct or not. I’ve tried to simplify my ask of Donzer for inside leg to outside rein to a 20 meter circle exercise. I’m asking for leg yield on the open sides of the circle. I have short clips Parts 1,2,3 to show the progress through the exercise. I think this is on the right track and I will keep sharing our progress going forward. I’m a big believer in using multiple inputs for learning so here is video to accompany the discussion. I’ve seen a couple of videos on YouTube now that I know what to look for in the search. My favorite so far is this one from Charlotte Dujardin. It’s a different experience learning dressage as a “side-hustle.” What I mean is those of us so busy with families, kids, jobs, etc are possessed by this drive to learn an art that is all consuming in itself. I love teaching. Whether it’s flying, riding, biology, speaking–I just enjoy the “aha” moment people have when they really grasp the topic. I also enjoy learning. I can remember struggling through my third calculus class (the one where a calculator offers no help) and having to accomplish the homework sets three times. For me there was no middle ground. I didn’t kinda learn the math, I either owned it or it owned me. In my book I review the different ways people learn–kinaesthetic (hands on), verbal, visual or read/write. As we get older most of us move towards the middle and can learn multiple ways. An interesting point is pilots tend to be strongly kinaesthetic learners and I think this is what many dressage trainers prefer as well. The challenge for we dressage enthusiasts not able to ride 4-6 horses a day is time. Even is we do prefer a hands on approach to learning, there just isn’t enough time in the day. So, one thing that helped me this spring was to write down my daily riding plan, in detail. A few years back at the USDF Trainer’s conference I got to watch Steffen Peters teach and the thing that resonated with me is how every step of his ride mattered. He still did 45 min but in that time period he had all the transitions, leg yield, shoulder in, etc because there was not even an extra circle. I found that when I wrote my plan down I was able to hit on all the exercises I wanted and didn’t spend time remembering what I wanted to do or if I needed to adjust to the horse, I knew what I was deviating from to accommodate for the mental space of Donzer or Ava. So, now I’m looking to build my mastermind group for dressage. In my business I have a team of experts I work with to include CPAs, Attorneys, Health Insurance experts, etc. I realized that I could create the same thing for my dressage journey. In my business I don’t expect myself to know everything, I always have a mentor/coach and I’m always adding new relationships. Why don’t we do that with riding? In the business world it would be crazy to expect one person to be your be all end all. Why in dressage do we expect one trainer to have all the answers? Why do questions of loyalty arise when all you want to do is keep learning? Why is the primary way to learn the model of a lesson where the student quietly listens and the trainer talks? I’ve drafted my way ahead for the rest of this year and I’m meeting with trainers to find a good fit. Ideally I want a relationship with a trainer to be long term where we work together and then bring in outside ideas as needed. I want a trainer that will watch a video I’ve seen and help me understand what I’m looking at and why it may or may not apply to what we’re working on. I want a trainer that doesn’t get irritated when I ask why we are doing X when this other trainer taught me Y. I want a trainer that will help me fine tune my training plan–not throw platitudes at me like “it takes time,” “your trot needs to be better,” we cannot just work on fun stuff.” OK, How!? I agree with all those statements and want the roadmap written down because I don’t sit on 4-6 horses each day so the roadmap becomes part of my physical DNA. Bottom line, when I’m clear in my head about what we’re trying to do, Donzer and Ava pick up on my mind’s eye and continually surprise me with how in tune they are to me. When I’m in a lesson riding around unclear on the intention, then there’s no picture for Donzer and Ava to tune into so we progress more slowly. I was able to audit a clinic taught by Julio Mendoza and he had a range of students from training level through Grand Prix. It was amazing to see how he approached flying changes from the prerequisites all the way through one tempis. I have the most clear picture in my head of where I am going and am perfectly content to work on my canter leg yields understanding how this strength and balance will ultimately lead to ones. Learning to ride dressage like many Americans (especially those of us out West) do–we buy a young horse and learn together, can require you to also be part detective. I have my horses at my place and always have. This concept of pony club and being part of a barn where you learn the horsemanship craft through immersion is foreign to me. My husband, Kris, is my detective partner in this dressage journey. We began our process taking in RFDTV and attended a Craig Cameron Clinic in Texas. We have had the opportunity to work with so many wonderful trainers and one of the challenges has been our military career moving us around so we were always starting again with new people. This is wonderful is many ways but one challenge is there are holes in the training process. Over this last year, we’ve really felt frustrated by this mystery of having the horse lift their withers, core, belly. How do we teach this to the horse? I stopped wearing my spurs for a few years because I wasn’t sure what to do with them and I didn’t want to waste a potentially helpful aid. I have been using the heel of my boot to ask Donzer to lift a bit at the girth and he’s been giving my some response over the last year. It all started to come together this spring when I rode with a clinician, Julio Mendoza, and he said he thought it was time to put my spurs back on. And, like things work often, I came across this video by Art 2 Ride and it talks about the three ways to use the leg. I am not the only rider with this hole!! I have been taking time in my warm-up now and am spending about 18 minutes with different patterns and focusing on the response to the spur to lift the belly. This is an education because Ava and Donzer want to speed up when they feel the spur. We are starting to get some traction and I think this is going to really help with our trot work as well. I’ll keep you updated and please enjoy this video that helped clarify the aid for me. I was inspired to try my piaffe work again with Donzer and Ava today after watching a video by Joseph Newcomb. I was watching a video of his and thought it looked very similar to what I’ve been doing with Donzer. But, I did like how he added in backing up to the process. I gave it a try with both Ava and Donzer today and it helped! So, I’m going to share below an early version of my efforts with Donzer, what we did today and a link to Joseph’s video’s because I really like his style of communicating. Dressage Horse Training: What’s next with Donzer for 2018? I know dressage must be about the journey but I’m not gonna lie, it feels really good to have finished our USDF Silver scores (still have to wait until the end of the year for the publication). 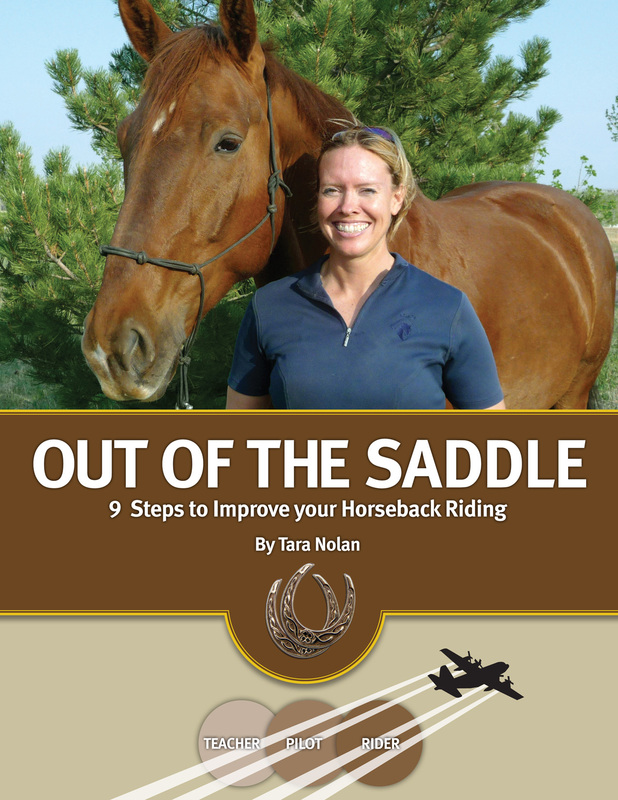 It is funny how one of the big tipping points this year was when I went back and read my book, Out of the Saddle, 9 Steps to Improve Your Horseback Riding, I decided maybe I should try to follow my own advice. So, I wrote up my plan in a lot of detail. For people who are not full time horse trainers, this is essential. We don’t spend 6-8 hours a day in an arena so we need to do things outside of the hour we ride to build the skills in our minds. It’s challenging to find horse trainers to help build written plans and I think this is because many trainers are dominantly kinanesthetic learners and chose riding to get away from books and writing-lol! I am reenergized to share all of the things Donzer and I have been doing for the last five years and I’ve drafted my 2018 Training Plan for I1. More details on each of these years to come and I will keep you updated on our progress this year. My goal with creating a written plan is to have a bench mark of goals that we either achieve or clearly know we need more time/focus on a specific movement or time to build strength. This blog is going to discuss my 2018 PSG show at Fox Lea where I had two chances to score 60% to complete my USDF Silver Medal. I have included video from Saturday and Sunday along with what we did differently to improve our performance for Sunday. While quality, strength and balance are always works in progress, my goal was for Donzer and I to maximize for our current skill sets. Please pull whatever nuggets may help you in your riding journey. My previous blog shares the written plan I created for my 25 days of training in Florida this spring. I will run through the test from top to bottom with changes we affected. From the halt, I use my spurs on Donzer’s belly close to the girth to ask him to lift his back. This was to be have more uphill balance in the trot depart. For the initial trot (and all trot work), I gently closed my knees and stretched up and tightened my belly just below my rib cage to keep the tempo slower. I’ve just become more aware of how Donzer runs off at all the gaits. But, I felt like I could immediately impact the trot for Sunday’s ride. Watching Saturday’s ride I was able to reduce the running trot. I can see where we have much more strength to build to lift and carry but I can tell you from my riding perspective in the test it felt like we were moving in slow motion. From the extended trot to collected trot, I asked Donzer to trot in place before the corner and then carried a collected trot through the corner before allowing him out a little on the short side. This helped the score a lot. And, I will definitely add rating on a circle to my daily ride until we can develop the communication for Donzer to come back by sitting versus bracing for balance. I’ve already been finding some nice videos by Joseph Newcomb demonstrating this exact process. For the trot half-pass, I made a concerted effort after the volte to think about trotting in place before we started the half-pass. This helped. I’ve had much better half-passes in my training but getting the same quality in a test is different than when you get to ride several in a row. This is why showing is so important to the training process! For the canter pirouette/flying changes, we broke and did not have the sitting we needed. In the warm-up I made sure to include my 4s on the 20 m circle. This exercise is helping me communicate with Donzer and organize my aids. You have to be sitting and balanced to execute 5-6 4s on a circle. For the flying changes, I made my ask very clear. I’ve had trainers tell me to be more subtle but Kris reminded me of how when learning canter departs at Training level, Donzer would be confused. He knew I was asking for canter but not sure which lead. So, for now, Donzer really prefers a very clear aid and this can become more subtle after we’ve been doing 4s for awhile. For the extended canter, I sat up and kept half-halting with my body strongly so Donzer did not blatantly dive and flatten like he did on Saturday. More support/contact–the last overall change was I shortened my reins and provided more support so this definitely steadied Donzer’s head. For the past few years we’ve been working on getting Donzer’s neck out. I try to always ride him on the third notch of my reins. However, for the test, I shortened the reins to provide a more solid connection and this helped. I will continue to keep working Donzer’s neck longer in training, especially at the end with a stretchy trot serpentine. And, I will add moments of more contact to find the sweet spots. I think Donzer’s head will continue to steady up as he finds more balance towards the hind end and really learns to engage his core and lift his withers. It’s been a while since I’ve written about my dressage journey and I will have some back filling to do but for today I want to share a brief overview of our spring training in Florida. The quick recap is Donzer and I scored a 61.7% on our first PSG and then for the last five years have not broken the 60% mark. When I tried to start working on quality versus just movements, it became clear we had a lot more to learn. So, we went back to working on the 20m circle; counterflex-leg yield shoulder-in for a year waiting for Donzer to agree that touching the bit was not optional. Then we spent the next two years using the reinback and then forward into connection to teach Donzer (and me!) how to carry and push from behind. We’ve spent the last year building strength and figuring out flying changes. Donzer was pretty sure any change of bend meant change. 2018 is our year. 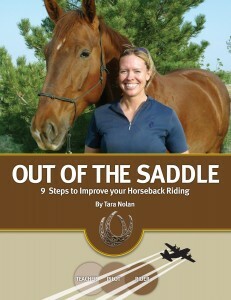 I decided to go back to my book, “Out of the Saddle: 9 Steps to Improve Your Horseback Riding” and take some of my own advice. I sat down and wrote down my PSG Training Plan. It was a bit unnerving to realize that I only had 25 actual training days when I took out necessary days off and my monthly trip to Little Rock Air Force Base for my monthly drill. But, just like I said in the book–writing down a plan helps. It helped me focus. It helped me make every step of my daily rides count. I had an epiphany to ride the PSG pattern at the walk for my warm-up each day so I got to visualize my test while I was warming up. I selected my BREAK BREAK no more training date. This was the day that all lessons stopped and I rode just Donzer and I like we would have to for the test. We had a clinician come in and as all trainers experience, the clinician was able to pull some things together for me and Donzer and I progressed from a single change to doing 3s and 4s on a 20 m circle. Again, I have many updates to write explaining all of these things and it’s so fun to finally break through this level of clarity. Now, I know what my work is! I really understand where we need to build strength and what skills Donzer and I need to learn. For example, it’s working much better for us to keep developing the trot from the collected canter. We tried to work from walk up to trot and the progress curve was flat. Working from canter to trot has been a boon for us. You never know what the last piece of the puzzle may be. It really does take a village. I’ve included an excerpt of my PSG training plan so you can see what worked for me. I will provide an overview of our rides from 58% to the awesome 63.8% that completed our USDF Silver. My Vision is that Donzer and I now have the skill, communication, and strength to easily ride a PSG test. My Intention is to create a plan for success to have the best performance for the show with our current skill sets. The plan will allow for analysis of areas to improve to create focused training sessions. Show Prep:Plan to transition on 7 Mar from training to show prep. From this point we take what we have and make it as steady and harmonious as possible. I will not be tempted to work on “just one more thing.” I would like to create a solid strategy here—not really sure the best approach. -Ride entire test pattern at walk for my walk warm-up? I should be able to accomplish the same balance and thoroughness goals I’ve been doing with 10 meter circles, leg yield and half pass and I can practice the pattern each day. -Build solid working trot to medium and back—Exercise? Working backwards from show on 10 Mar, 5 -6 Mar last two ride days after drill. 7 day off and 8-9 Maris the break from training to show prep, identify milestones ie ride full trot work, full canter half-passes, pirouettes, etc. The work is beginning on 7 Feb with building the gaits (strength, balance and understanding changes). The canter work for changes will include quarter pirouette turns, daily rate change transitions from collected, working and medium trot/canter. I’ve created a standard Lesson Plan Format to set a clear intention for each lesson, the exercises we will use and why we are using the exercises. The goal is to create a clear plan to build the PSG and a communication tool for lesson planning and to clarify in my mind so I can communicate clearly to the horses what I an envisioning. If I’m not crystal clear then there is no way the horses can execute. Why: This exercise explains the level of straightness to horse and rider needed for changes. I can feel how the back muscles lock up when asked for the shoulder-in so this allows me as the rider to target the weak area, allow the horse time to feel and engage the muscle correctly, and for me as the rider to feel what “good” feels like. The trainer/coach can explain what need to happen but ultimately the horse has to show the rider when it’s correct (like landing an airplane). This exercise addresses the horse’s natural tendency to anticipate so I can explain that the change of bend is not the aid for the change. This exercise creates a discussion tool for the horse-rider-trainer group to zero in on what is confusing for fuzzy. Why: This exercise builds strength, confirms the lateral aids and the strength/balance needed for horse to be an accordion longitudinally in their body. Why: Trot is the most challenging gait to ride. As a rider your core has to be strong, engaged and supple. The horse must be in front of the leg or a trot really is hard to sit. The 20 meter circle allows you to establish the correct frame/balance especially from back to front. The serpentine challenges the little muscles along the spine to remain engaged for direction changes. Donzer and Ava want to drop and change instead of staying engaged for the entire ride. This is how I taught them and how we are relearning that there are no breaks until we’re on the buckle for a break. Why: Goal is to find self-carriage to settle into square halt. Donzer wants to dive onto his shoulder to halt instead of settling back on his hind end to halt. After Action write-up: The timing of the warm-up, canter and trot work was approximately 15 minutes each to equal a 45 min ride. Intentionally adding in the focus of circle geometry, correct corners (1/2 halt, 3 strides leg yield through corner, ½ halt and then forward) beginning in the warm-up created more “time” in the ride. This will help use the horse’s natural anticipation for good. Canter work was effective. Adding in the baby canter to working to medium helped with thoroughness. Both horses have a habit of disconnecting when they move forward to use the underside of their neck so I did several transitions until I had a solid connection over the topline. I took a 2 min break with Kris giving some positive feedback and then we did the counter-canter/change exercise. I established a counter-canter on the quarter line. This took a couple laps to establish straightness before the short side. I also focused on riding good quarter turns from quarter line to quarter line. As a rider this was taking extra focus because at first it didn’t feel like we could get it done. But, it got easier with each short side and the horses were also accepting the ½ halts. Next, I added the shoulder-in and held until the back muscles released and then went back to straight. This took a few laps. Then I asked for more forward in the shoulder-in once the muscle had relaxed. Then I did shoulder-in, forward, straight, ½ halt, change. Both horses were understanding the exercise better. The attention to geometry is really going to add ride ability to my daily practice and help with overall test prep. For next ride I need to keep being very clear with my position and ensuring I swing my leg back for the canter depart aid as this is also the aid for the changes. Kris noticed that I do not swing my leg back for my walk/canter departs very clearly. In the interest of time I will use the quarter turns to cover my pirouette work until we have this muscle memory developed. I think it will only take 3 more rides until this can be an exercise I touch on in the ride but do not need to dedicate the bulk of the ride to accomplish. Trot work was better: Previous to my 6 Feb lesson I was only adding in the trot serpentines at the end to establish some balance and tracking up effort. Today I started on the 20 meter circle with a few good halt-trot departs. Sit up straight, bring shoulder blades together for the ½ halt and then scootch seat and lightly squeeze with both calves. Then I did shoulder-in, leg yield forward. The shoulder-in was activating the trapezius muscle in front of the withers and the sliding effort is still challenging for both horses. The shoulder-in also allowed me to connect my inside sits bone with the inside hind leg and visualize a longer stride. The leg yield did some rebalancing and both horses were locking up their shoulders in the shoulder-in position. For the leg yield I had to ask the hind leg to move sideways and also open my outside rein and ½ halt for the rebalance. When I next asked for forward, both horses still have the muscle memory of dropping their shoulders and pulling themselves forward and lifting the poll but disconnecting just in front of the withers. The same way I used my inside leg/outside rein in the rate changes at trot on the 20 meter, I needed to use this aid to ask for forward push from behind. This will take repetition and consistency on my part. Every time I allow the horses to do it wrong just adds onto the number of times I need to repeat it correctly. Once I had a good feel on the circle I did the baby trot to working trot to medium trot and back. When this felt better I took the medium trot to the serpentine. I initially focused on the geometry of the corners (1/2 halt, three steps leg yield, ½ halt) and the change from shoulder-in to shoulder-in to change the bend. This initially causes the stride to shorten. Once I had some agreement for the geometry, I focused on lengthening my body from top to bottom, connecting my belly button core area to the hind legs and visualized bouncing the stride up and forward. I also visualized bringing the inside hind stride longer with each shoulder-in. Another feel that seems to help is to focus on the downbeat of the trot to set the rhythm I want. Once I had what felt like our best effort I completed 2 serpentines in our best effort. I would like to be able to have a reliable trot harmony for the test instead of hoping for short segments of good moments. I finished up with baby trot to halt. Still figuring out the square halt. Intention: Dinging to create the energetic feel of forward over the topline and have the horses find their balance while tracking up at trot. Exercise: 20 circles at trot and canter each direction. Success at trot is when the poll is slightly highest point and the nuchal ligament over withers to poll is clearly engaged, the trapezius muscle is engaged and the energy feels forward. The hind leg is tracking up and the low back is tucked to allow the stifle engagement so it feels like the stifle is moving through the body over the top of the withers to the poll. Success at canter is similar. I will also look for definite belly muscle engagement and for the hind legs to swing forward under the belly rather than with an out behind tendency. I am pushing the energy forward until the topline is fully engaged. Both horses have an ability to “phone it in” and collect behind while disconnected in front of the withers while bringing poll up in a false headset. Why: Dinging gives me a change to really see how the horses are moving. Done correctly this is just riding from the ground. It is allowing me to practice projecting my energy more effectively. Dinging allows the horses to find their balance without a rider and by setting the goal of 20 laps, this is like our coach used to have us do for track practice. Once your form is good, then you have to get strong in the correct form. After action write-up: Ava quickly moves into a good trot but will hold back slightly in her push. It’s almost as much of a feeling as anything physical I point directly to watch. When I ask Ava to come, she’s adding a bit more effort likes she knows I caught her offering 60% instead of 80%. Canter is more challenging. Ava is lazy and with her long body and long legs looks like she’s working fairly well. But, I pushed forward until I felt the same effort I did when I asked for a medium from the saddle. Then I let her settle back a little. What I saw was more low back swinging, hind legs reaching further under her belly and then Ava searching for where she wanted to carry her head. I let her know good when she found the spot with the topline neck engaged and the poll highest point. And, underside of her neck fairly relaxed. Donzer, with his short body is a completely different picture. His muscles are short, tight and with his short legs, he has to be offering true effort through his core to track up where Ava’s longer legs can create a picture that is not taking as much effort. Donzer takes longer to warm up about 12 circles before he was ready to stride out. Same energy feel through the neck to the poll. After 12 circles I stated focusing on his hind legs looking for more space between them to show longer strides. Donzer’s a bit trickier because I also have to ask him to keep his poll up because he’s happy to just roll onto the forehand. Then he wants to falsely lift his poll and disconnect so we have to go round and round a bit more. But, dinging is riding from the ground so the time to solve this on the longe will translate to the saddle. At circle 18 I got the right frame, energy feel I wanted at trot. Canter was interesting. Donzer is now fit enough that I can push him more. After allowing him a few circles to warm his muscles he settled into the frame he knows I want but it still felt a bit “stuck.” So, I pushed him forward like to do when riding to a medium effort canter and it was ugly for about 6 circles but then it was like he broke free in his shoulders and the effort was moving through his body. He is short but he can get his low back tucking under to get his hind legs more under his body and allow the energy to move through his rib cage, shoulders and over the withers to his poll. His belly muscle very clearly engages as well. I think he likes this level of effort and we just need to establish it as correct.